Please View it in full screen for better quality! 1. Project Plan Simple: This is to plan a single project. Where you can enter project activities, responsible person and start and end date of an activity and the days complated. Status of each activity is calculated automatically based on your project dates and days combination. 2. 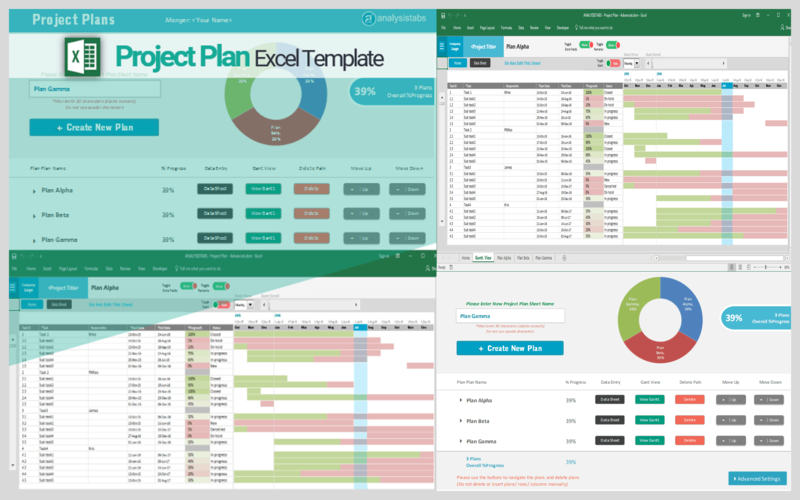 Project Plan Dashboard: This is to manage the multiple projects with Phases and Activities. 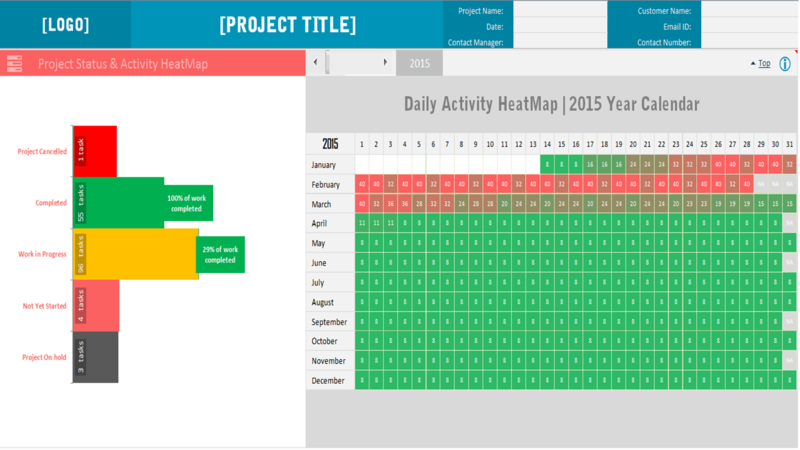 Executive dashboard helps you to understand the project with the effective data charts. 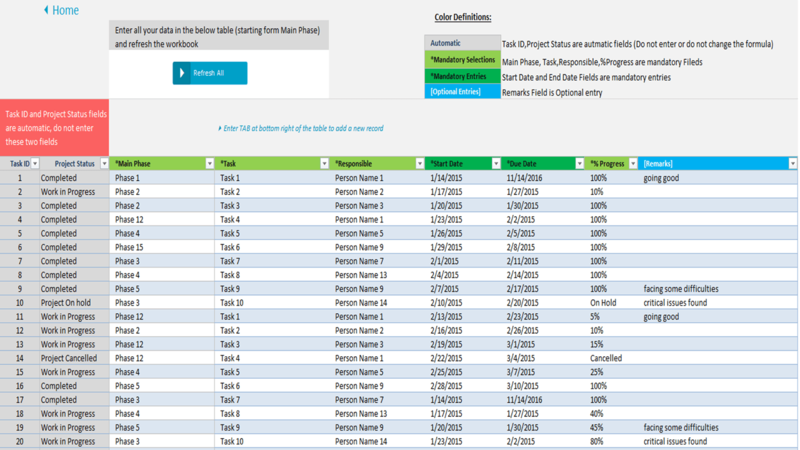 Here you pre-define the lists like: Projects, Resource (Project Members), Phases, Tasks. You can see the three toggle buttons on the top of the worksheet. You click on these buttons to see the respective range in the worksheet). Project Plan & Gant. 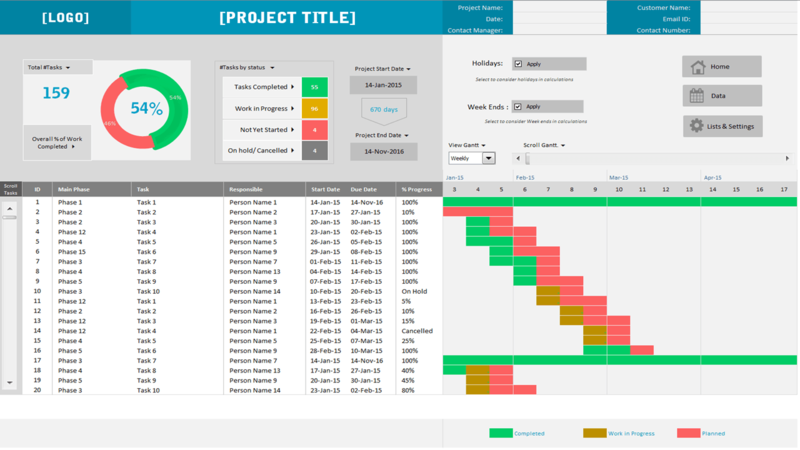 (toggle button): You can toggle the Project Plan & Gant. 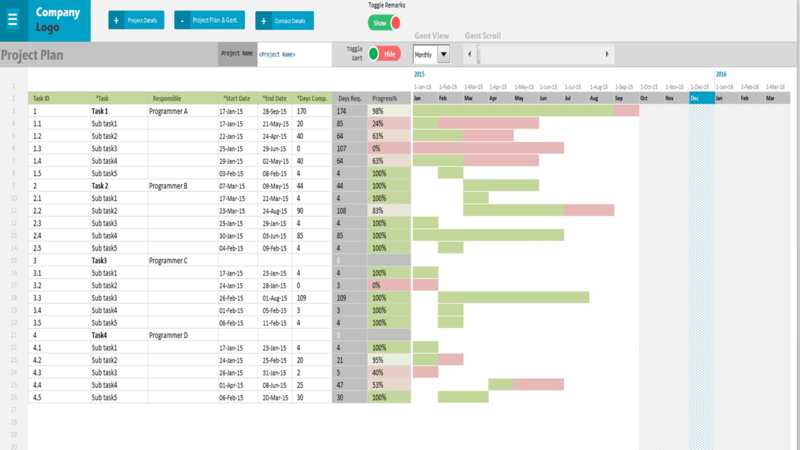 chart Area by clicking on ‘Project Plan & Gant’ button. Clear the Dummy Data below the Data Entry Fields: Task ID, *Task,…,*Days Comp.